by Cristina M. Choi, Esq. and Margaret E. M. Utterback, Esq. 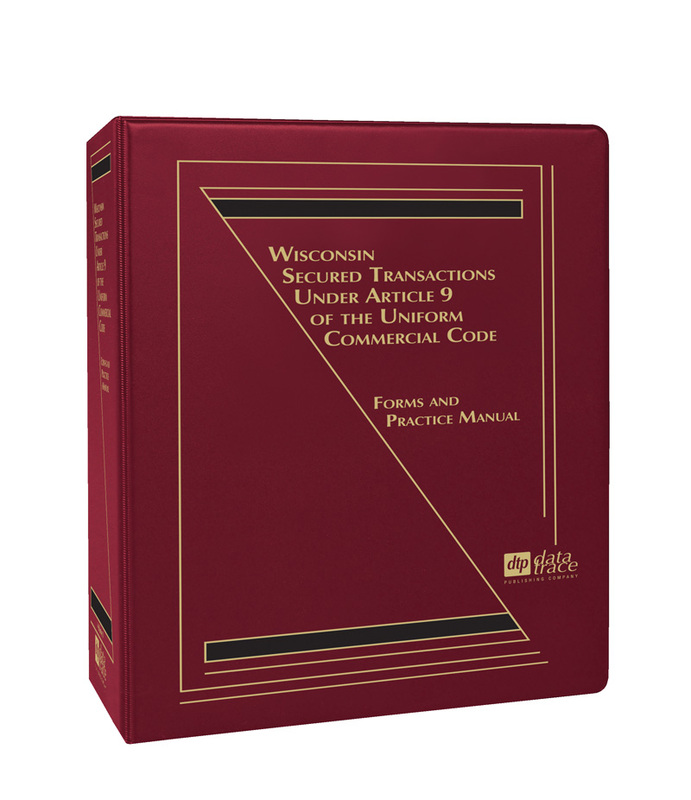 Prominent Wisconsin attorneys, Cristina M. Choi and Margaret E. M. Utterback, have drawn from their extensive experience to bring you this practical, easy-to-use book, containing a comprehensive collection of all the current rules of Article 9, along with extensive commentaries on how they affect the forms and procedures used in Wisconsin today. New practice pointer regarding life insurance policies as collateral. 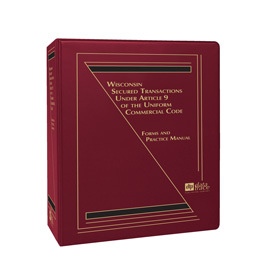 Updated discussions in Intellectual Property (Section 7.10), including a discussion of the Model Intellectual Property Security Agreement published by the Model Intellectual Property Security Agreement developed by the Task Force of the Commercial Finance Committee and its Intellectual Property Financing Subcommittee, which are part of the American Bar Association’s Business Law Section. Cristina M. Choi is an associate at the firm of Quarles & Brady LLP. She practices in the areas of general corporate services, contracting and mergers & acquisitions. Her experience includes assisting borrowers and lenders in collateralized loan transactions, and assisting individuals and companies in the sale and acquisition process. She is a member of the State Bar of Wisconsin. Ms. Choi graduated from the University of Wisconsin Law School (J.D., 2007) and Cornell University (B.S., 2004). Margaret E. M. Utterback is a partner at the firm of Quarles & Brady LLP. She practices in the areas of business and corporate law, focusing in commercial finance. In addition, her practice includes public finance transactions as borrower’s counsel. Her experience includes representation of commercial lenders and borrowers in single lender and syndicated credit transactions and secured and unsecured financings. She is a member of the Wisconsin Bar Association. Ms. Utterback graduated from the U.S. Naval Academy (B.S., 1987) and the University of Wisconsin Law School (J.D., 2001).